For sponsorship opportunities please contact John Eborall at jeborall@GlobeBMG.com. 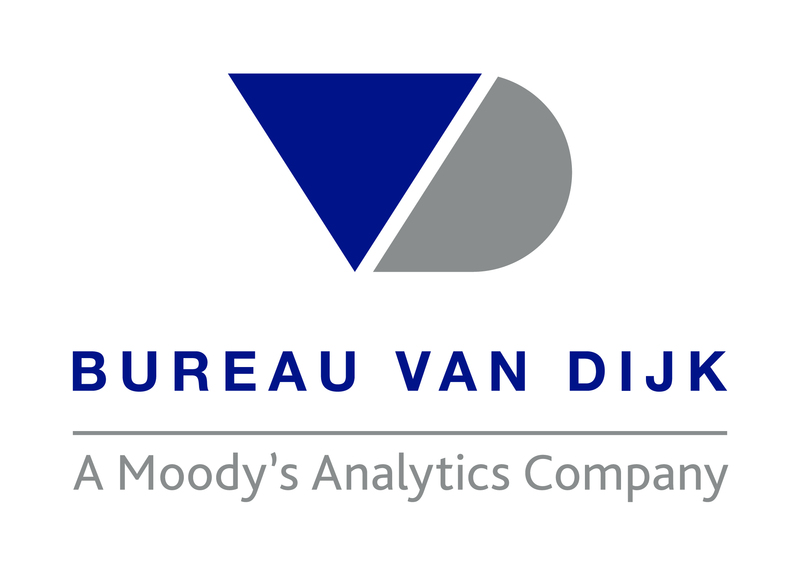 Bureau van Dijk’s product, Orbis Intellectual Property, links global patent data to companies and corporate groups in a way that has never been done before. With information on approximately 300 million companies worldwide, it is the best resource for private company data. Orbis Intellectual Property has linked 115 million patents to company information to provide clients with extensive patent portfolios for companies and their corporate group. Orbis Intellectual Property is a comprehensive solution for IP management and research strategy, saving clients time and helping them to make faster, better decisions. Orbis Intellectual Property allows clients to review patent ownership timelines to assess the number of transactions, trends and the commercial appeal of new technologies; quickly identify companies that would be interested in licensing specific patents; view M&A data to track when a patent has been sold; review SEPs to identify technology standards and innovation across portfolios and corporate groups; and conduct landscape studies, identify global and regional trends and analyse individual companies. Cipher analytics software provides subscribers with the analysis needed to support their strategic IP decisions. Cipher is a market-leading solution which uses AI and machine learning to provide insights into complex landscapes of patented technology. Cipher is the only software which can be customised to a company’s own taxonomy. It also provides access to comprehensive industry standard libraries, including Cipher Automotive for original equipment manufacturers and suppliers, Cipher n/d Powered by AST for technology cross-licensing and our partnership with Mintel for the fast-moving consumer goods sector. Clifford Chance, one of the world's leading law firms, serves clients from 32 offices in 22 countries. Around 3,300 legal advisers are present in all of the world’s major economic centres. In Germany, the firm has around 300 lawyers, auditors, tax advisers and solicitors in Dusseldorf, Frankfurt am Main and Munich. Clifford Chance advises clients in a wide range of industries around the world and provides tailor-made solutions. Clifford Chance's success is based on a combination of excellence in each legal area and industry expertise. Clients rely on the firm's outstanding local service and global network in order to be successful in key markets around the world. These clients include global companies and institutions that Clifford Chance advises on national and cross-border transactions in a wide range of jurisdictions. Clifford Chance has also got a new technology group in order to encourage wider adoption of new innovation within the firm and to meet growing client demand for legal advice relating to technology and data regulation. The tech group provides a new model for technology law: a single global team of more than 400 lawyers delivering hybrid, joined-up advice on technology issues, covering antitrust, data, mergers and acquisitions, investments, intellectual property, litigation, cyber and regulatory investigations. Dominion Harbor Enterprises (DHE) is one of the world’s premier IP transaction and advisory firms. Its clients are provided with unmatched transactional expertise, the full spectrum of IP transaction and advisory services and unrivaled access to highly targeted and credentialed licensees. DHE maintains its industry leadership with its proprietary IPedia patent intelligence solution. France Brevets is dedicated to the monetisation and protection of French technological innovations. Our mission is to support companies and businesses in the monetisation of their innovations by structuring their IP and defending it worldwide. 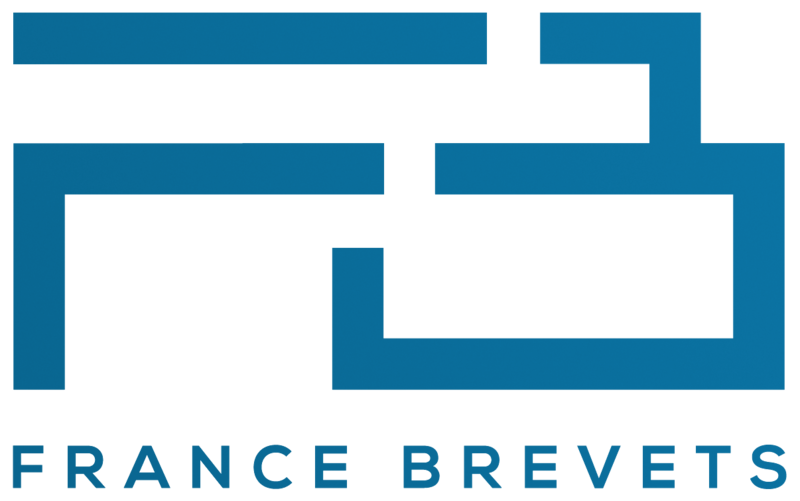 France Brevets was created in 2011, with an initial commitment of €100 million and an additional commitment of €100 million in 2016. We are owned by the French state and the Caisse des Depots. Our team of highly qualified experts has a strong international presence, particularly in Canada, China, South Korea and Japan. 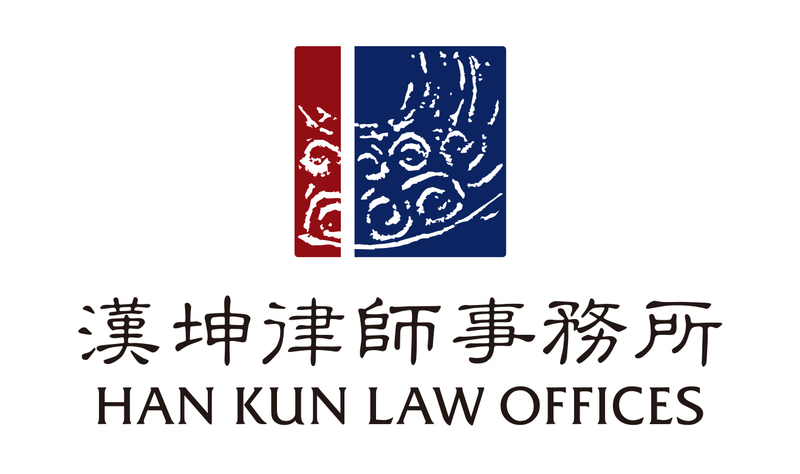 Han Kun is a leading full-service law firm in China with more than 350 lawyers. We have been widely recognised as a leader in complex cross-border and domestic commercial transactions and dispute resolution and has been ranked as a top Chinese law firm in Asia-Pacific. Han Kun’s IP practice provides clients with tailored, value-enhancing services, covering contentious and non-contentious patent, trademark and copyright matters, including patent procurement, patent enforcement, due diligence, antitrust, trade secrets and commercial transactions. We are particularly specialised in handling IP matters involving information and communications technologies, automobiles and manufacturing. Our IP lawyers are graduates of top universities with diverse technical backgrounds, strong legal expertise, unique perspectives and extensive experience. They work closely with clients to provide the latest legal insights, strategies and advice. Han Kun’s IP practice has won the trust and praise of renowned domestic and multinational clients for the quality of its professional services and diligent work ethic. Han Kun specialises in obtaining IP rights, including patent drafting, prosecution and re-examination, trademark prosecution, copyright and computer software registration, domain name registration and dispute resolution and integrated circuit layout design registration. We also assist with contentious IP matters, such as patent infringement actions and invalidation proceedings, IP antitrust actions and trade secret, unfair competition, trademark and copyright disputes. Han Kun also specialises in non-contentious IP matters, including patent search and analysis, transactional matters, IP due diligence, data protection, IP valuation and strategic IP portfolio management and risk and regulatory compliance. IPzen is an easy-to-use platform that allows clients to manage their IP portfolios and related matters (eg, prosecution, opposition, litigation, contracts and legal advice). The IPzen platform is hosted in a highly secure private cloud on dedicated virtual machines, which enables clients to follow up on IP rights, track action items and send invoices from anywhere at any time. 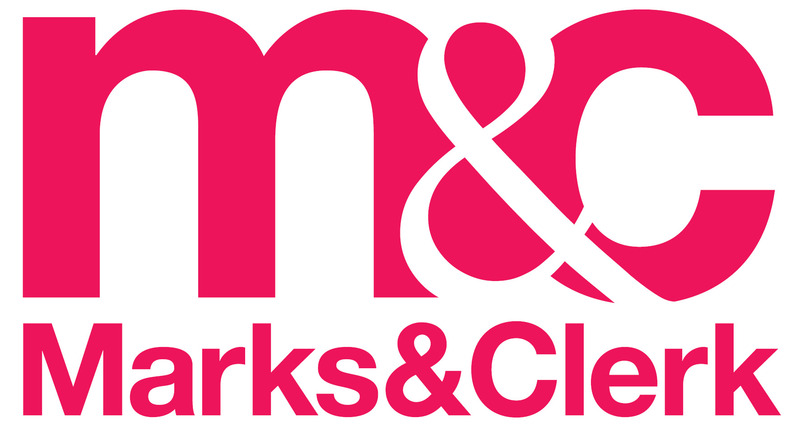 Marks & Clerk LLP is one of the United Kingdom’s largest patent and trademark attorney firms, with more than 140 staff across eight UK offices. The UK practice comprises 56 partners, 41 other qualified patent attorneys, 11 qualified trademark attorneys, 50 trainee patent attorneys and nine trainee trademark attorneys. Alongside this, we have a long-established global presence and a further eight offices in Canada and Asia. This enables us to offer clients the best possible service locally, nationally and internationally. In 2018 Marks & Clerk was named the European Union’s top filer of Patent Cooperation Treaty (PCT) applications by Managing Intellectual Property magazine, with our teams having filed 58 more patents than our nearest rival. We also remain one of the United Kingdom’s top PCT filers. Further, in 2018, the Chartered Institute of Trademark Attorneys named Marks & Clerk the top filer of trademarks in both the United Kingdom and the European Union. Our patent attorneys typically work on patent prosecution programmes, patent portfolio management and due diligence projects and our EPO oppositions practice has seen many significant successes. As a patent and trademark attorney firm, we are unique in having a close association with Marks & Clerk Solicitors, a well-established IP boutique law firm, and Marks & Clerk Consulting, which provides financial, strategic or commercial IP services that are not traditionally offered by IP firms, such as portfolio valuation. Orange is a world-leading telecoms operator. In 2017 it made sales of €41 billion, and in 2018 it had 150,000 employees worldwide, 92,000 of which were in France. 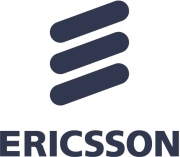 The group has a total customer base of 261 million customers worldwide, including 201 million mobile customers and 20 million fixed broadband customers. The group is present in 28 countries. Orange is also a leading provider of global IT and telecoms services to multinationals under the brand Orange Business Services. In 2015 the group presented its new strategic plan, Essentials2020, which places customer experience at its heart in order to allow customers to benefit fully from the digital universe and the power of new generation networks. Orange is the primary private-sector player in digital technology research in France and was the top European operator for issuing patent registrations in 2017. It files more than 200 patents each year and makes significant contributions to standardisation (eg, 5G and video coding). Patterson Thuente IP is a Minneapolis-based full-service IP law firm, that serves the legal needs of creative and innovative companies worldwide. The firm’s attorneys excel at developing and executing strategic solutions to the complex IP matters that are crucial to success in today’s highly competitive global marketplace. Backed with degrees in various engineering disciplines, a passion for science and innovation and commitment to excellent client service, the attorneys at Patterson Thuente IP provide counsel that focuses on meeting their clients’ business objectives. The firm sustains a full-service practice that includes patent and trademark prosecution; IP strategy development and portfolio management; IP litigation and other enforcement remedies, such as post-grant proceedings; international IP protection and strategy; trade dress; trade secrets; licensing; opinions of counsel, including patentability, non-infringement and freedom-to-operate opinions; and IP due diligence. This approach allows us to help clients to secure, manage and enforce their intellectual assets. Our clients comprise a dynamic group whose innovations shape the future in industries such as aerospace, agriculture, automotive, biotechnology, chemistry, computers and software, consumer goods, defence, energy, medical devices and equipment, nanotechnology, optical and sensor technologies, pharmaceuticals, retail and telecoms. The firm represents multinationals, small and medium-sized companies, research institutions and start-up ventures, all of which benefit from our attorneys’ clear understanding of law and business and how IP affects their clients’ bottom line. TechInsights helps IP owners to maximise the value of their patents through portfolio assessment, understanding cross-market applicability and advising on development, assertion and divestment strategies. We possess the world’s most comprehensive technical body of knowledge gained from over a quarter of a century of reverse engineering excellence in semiconductors, electronics and software. Our experts in understanding and mapping technology to patents have helped clients, including over half of the top 50 US patent holders, to get the most from their IP assets. If you need assistance in managing your most complex technology or IP challenges, turn to TechInsights for assured results. Valea is a well-managed, flexible and professional company that is committed to being at the forefront of the IP field. We always ensure that we have the required expertise at both a technical and legal level. Valea is responsive to clients’ specific needs and works to maximise the value of their IP rights. Our focus is to be a strategic business partner that offers technology and law expertise, combined with an understanding of regulatory frameworks in a commercial context. Valea continuously increases its market share and strives for sound, sustainable growth and profitability over time. Valea has offices in the most important and dynamic centres for technological development, industrial conglomerates and university research in Sweden. Our organisation has a seamless structure that enables and promotes internal collaboration and knowledge dissipation, regardless of position or location. This unique internal cooperation also supports and enables our relentless focus on quality in everything that we do. As part of our commitment to quality, we continuously develop staff competence to ensure the highest standards of work performance. In every way, our internal processes are designed to establish and strengthen close client relationships. At Valea, we work in client teams – across areas of expertise and geographic locations – to provide clients with the best possible skills for every new assignment in the most efficient and effective manner. Via Licensing Corporation is a global IP solutions provider dedicated to enabling innovation in partnership with technology companies, entertainment companies, and universities around the world. Via develops and manages licensing programs on behalf of highly innovative companies in markets such as audio, wireless, broadcast, and automotive. Minesoft is the two-time winner of the prestigious Queen’s Award for International Trade and has fast become an established leader in the patent information field. It now hosts the patent data of more than 105 jurisdictions, of which 60 are full text. Founded in 1996, Minesoft works with industrial corporations, patent attorney firms and patent authorities worldwide, developing databases and software solutions directly shaped by client feedback to meet their daily needs. Minesoft’s PatBase is an industry-leading online patent database with built-in functionalities which is relied on by more than 70,000 users worldwide. PatBase Analytics V2 provides powerful and in-depth analysis. Users can monitor their own patent portfolio, gain competitive intelligence by understanding the current landscape, predict where their market is heading and spot trends in areas of interest to aid investment. Visually appealing reports can be generated to communicate results clearly to decision makers. Minesoft’s Legal Status Tracker and Cite Tracker will automatically deliver email alerts whenever a change occurs, raising awareness and eliminating the need for time-consuming manual checks. jurisdictions, legal topics and market trends. Darts-ip users can quickly search and track nearly 4 million cases covering trademarks, patents, copyright, designs and models, domain names and unfair competition. A dedicated team of local legal experts work in partnership with cutting-edge AI and machine-learning tools to extract key data points from every case. From prosecutors to litigators, R&D to business intelligence experts, Darts-ip’s smart tools help users to win cases, build strategies and identify new opportunities. PatentSight – a LexisNexis company – provides unique strategic insights into the IP lifecycle. We deliver reliable and relevant information to connect IP with business strategy. Our global customers across different industries (eg, six of the top 10 chemical companies) use our ownership-harmonised, legal-status checked refined patent data and our methodologies and tools to answer questions relating to &D strategies, portfolio and competitor benchmarking, portfolio optimisation, licensing, M&A and trends and disruptive technologies. Some clients even showcase our scientifically proven Patent Asset Index method in their annual reports. Our powerful platform creates rock-solid results. We excel at strategic analysis, but users in patent departments also love the efficient day-to-day workflows that the platform supports. PAVIS is a leading European IP service provider, which specialises in worldwide patent and trademark renewal. PAVIS’s experienced team of IP professionals, patent attorneys and network partners safeguard clients’ IP rights and ensure timely payments worldwide. PAVIS excels in expertise, transparency and client service. It uses well-established procedures and interfaces to allow for data exchange with several IP management systems, resulting in the smooth and effortless sending of online payment instructions. More than 1,800 law firms, patent agencies and corporate IP departments benefit from PAVIS’s 39 years of experience. 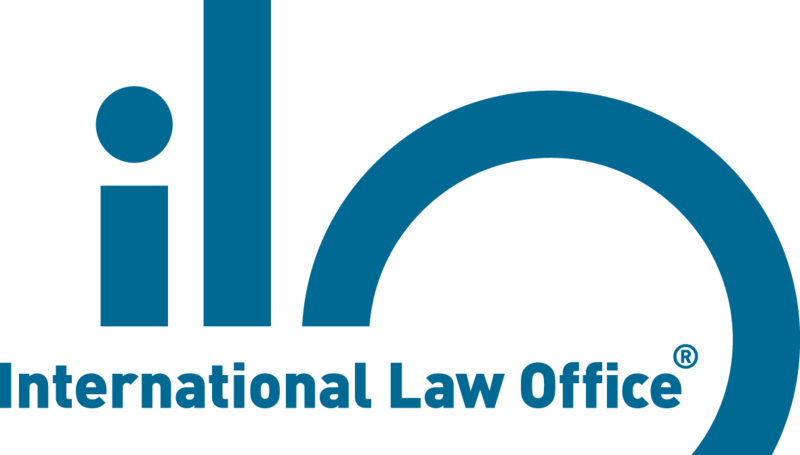 The French Patent and Trademark Attorneys Institute (CNCPI) is the only recognised professional body in France for patent and trademark attorneys. 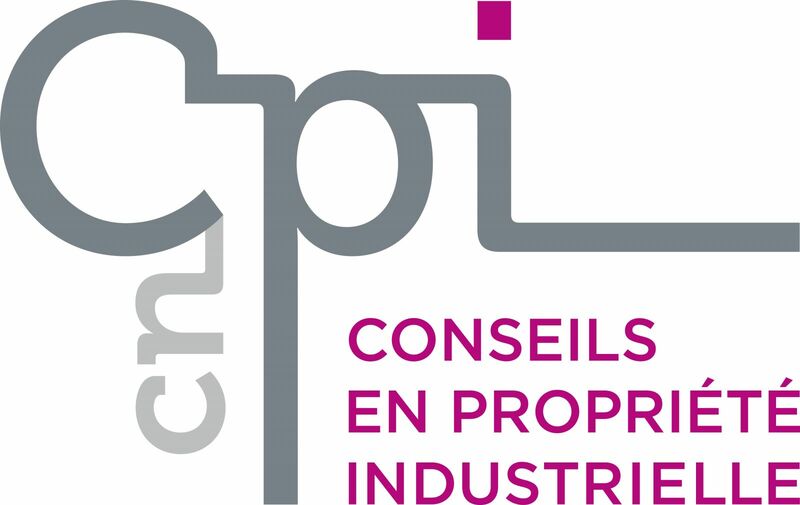 CNCPI was set up under the Code of Intellectual Property and membership is mandatory for all French patent and trademark attorneys. French patent and trademark attorneys create and defend IP rights (in particular filing and registering patents, trademarks, designs and domain names) in France, Europe and worldwide. They assist clients through all processes relating to IP (eg, reviewing usage rights, preparing contracts, auditing, monitoring and evaluating portfolios). French patent and trademark attorneys are independent professionals, practising in a regulated environment. They represent clients before judicial bodies (eg, the French National Industrial Property Institute, the EPO, the EUIPO and the WIPO) and advise them in the event of infringement. The European Institute for Enterprise and Intellectual Property (IEEPI) is a vocational training institute, which was created by the French government in 2004 in order to organise training sessions on the economic and strategic aspects of intellectual property for decision makers from the business world and researchers. The IEEPI is committed to maintaining the high quality of its training, which is guaranteed by the fact that it is ISO 9001 certified for vocational training and audited by the Professional Office of Qualification of Training Organisations. The training offered by the IEEPI ranges from short courses of between one and three days and 10-day licensing courses to a master’s course on IP strategy and innovation in collaboration with the University of Strasbourg. It also offers in-house custom training courses that are tailored to clients’ specific needs. With nearly 7,000 staff, the EPO is one of the largest public service institutions in Europe. Headquartered in Munich and with offices in Berlin, Brussels, The Hague and Vienna, the EPO was founded with the aim of strengthening patent cooperation in Europe. Through the EPO’s centralised patent granting procedure, inventors can obtain high-quality patent protection in up to 44 countries, covering a market of some 700 million people. The EPO is also a leading authority in patent information and patent searching. 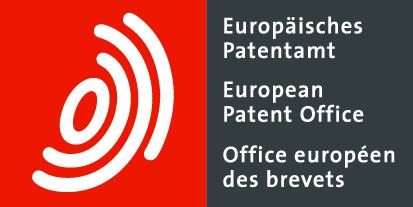 The EPO receives more than 160,000 patent applications per year and in 2017 granted more than 100,000 patents. Its free online patent database, Espacenet, contains more than 100 million technical documents from 100 countries and its free neural machine translation service, Patent Translate, provides instant, high-quality translations in 32 languages, including Chinese, Japanese, Korean and Russian. 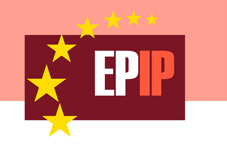 The European Policy for Intellectual Property (EPIP) is the leading European independent, interdisciplinary, non-profit association of researchers interested in IP. The EPIP’s objectives are to be a leading platform for the analysis and discussion of IP systems and intangible assets; encourage research regarding economic, legal, managerial, social, political and historical aspects of IP rights at the national, European and international levels; contribute ideas, concepts and discussions that will promote innovation, productivity and growth in Europe and beyond; inform and encourage policy-oriented discussions involving political and administrative bodies and stakeholders in Europe; and cooperate with other associations with similar objectives. The International Chamber of Commerce (ICC) is the world’s largest business organisation, with a network of more than six million members in more than 100 countries. We work to promote international trade, responsible business conduct and a global approach to regulation through a unique mix of advocacy and standard-setting activities, together with market-leading dispute resolution services. Our members include many of the world’s largest companies, small and medium-sized enterprises, business associations and local chambers of commerce. The ICC Commission on Intellectual Property is the voice of business worldwide on IP issues at the cutting edge of international policy making. The breadth of its membership – more than 400 experts spanning all business sectors and regions – enriches and informs discussions and allows the commission to present truly cross-industry international business views. Licensing Executives Society (LES) France is a chapter of Licensing Executives Society International and is open to all IP professionals. LES France comprises approximately 500 members and organises annual conferences, workshops and webinars. LES France aims to facilitate the exchange of ideas, information and experiences; to participate in the education and formation of its members; and be a source of information and proposals for the business world and public authorities in the IP domain.